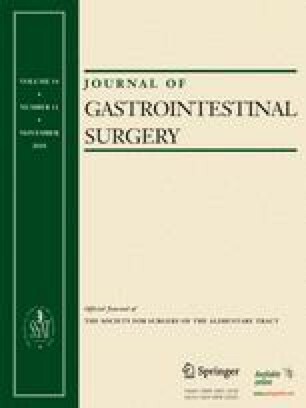 Distinct outcome measures such as in-hospital and 30-day mortality have been used to evaluate pancreatectomy results. We posited that these measures could be compared using national data, providing more precision for evaluating published outcomes after pancreatectomy. Patients undergoing resection for pancreatic cancer were identified from the linked SEER-Medicare databases (1991–2002). Mortality was analyzed and trend tests were utilized to evaluate risk of death within ≤60 days of resection and from 60 days to 2 years post-resection. Univariate analysis assessed patient characteristics such as race, gender, marital status, socioeconomic status, hospital teaching status, and complications. One thousand eight hundred forty-seven resected patients were identified: 7.7% (n = 142) died within the first 30 days, 83.6% of whom died during the same hospitalization. Postoperative in-hospital mortality was 8.1% (n = 150), 79% of which was within 30 days, greater than 90% of which was within 60 days. Risk of death decreased significantly over the first 60 days (P < 0.0001). After 60 days, the risk did not decrease through 2 years (P = 0.8533). Univariate analysis showed no difference between the two groups in terms of race, gender, marital status, and socioeconomic status, but patients dying within 60 days were more likely to have experienced a complication (41.1% vs. 17.0%, P < 0.0001). In-hospital and 30-day mortality after resection for cancer are similar nationally; thus, comparing mortality utilizing these measures is acceptable. After a 60-day post-resection window of increased mortality, mortality risk then continues at a constant rate over 2 years, suggesting that mortality after pancreatectomy is not limited to early (“complication”) and late (“cancer”) phases. Determining ways to decrease perioperative mortality in the 60-day interval will be critical to improving overall survival. Mortality in pancreatic adenocarcinoma cancer care was assessed for patients receiving resection. In-hospital mortality and 30-day mortality were shown to be comparable; mortality was also assessed as a pattern of risk, with risk falling for resected patients directly following surgery for 60 days, but then remaining constant up to 2 years. We thank Bridget A. Neville, Department of Medical Oncology, Dana-Farber Cancer Institute, Boston, MA, for her statistical expertise. This work was supported by the Pancreatic Cancer Alliance, the American Surgical Association Foundation, the Howard Hughes Early Career Award, and an American Cancer Society Institutional Research Grant (all to Jennifer F. Tseng). Dr. Thomas John Howard: James, congratulations on a nice paper. I think it’s important for anyone who does pancreatic surgery to read this manuscript because it gives a nice summary of patient mortality time line, not just after you are through with your operation and for 30 or 60 days following but throughout the rest of their life. Let me ask you several questions. 1. Could you elaborate on why you used the SEER-Medicare database rather than some other administrative database to answer your questions? And was this database the best fit, given the limitations of all administrative databases? 2. You mentioned a little bit in your manuscript how we could use some of this information to pick our patients preoperatively. I will tell you, if you took all of the elderly male patients out of my practice (your identified high risk group), I wouldn’t have anything to operate on. So maybe you could give us a little bit of an explanation on how we could use this to choose patients preoperatively for pancreas cancer operations. Dr. James Edward Carroll: I’ll start with the second question first. It’s difficult to think of your own individual experience at a large center and apply it directly to our study, because our study is informed so much by small outlying hospitals, hospitals that have probably far higher mortality, far higher complications, even higher readmissions as documented in other manuscripts in the same database. But I do think that if you use this data in discussions with your patients, it’s fair to say that you can look at certain factors like preoperative comorbidities and inform them as to when a procedure is most appropriate. Regarding as to why we used SEER-Medicare—it is limited by the fact that its patients are over 65. One of the stronger aspects of the database, though, is that it represents a significant portion of the pancreatic cancer population. Also, it isn’t limited to in-hospital mortality, like Nationwide Inpatient Sample and NSQIP. It certainly doesn’t have as many variables as NSQIP—it doesn’t have 136 variables—but we believe that it’s generalizable because it does have an effect on those outlying hospitals. We can speak to the small hospital experience. In fact, we can sometimes tease out data from those hospitals and perhaps create a bridge of communication between the larger hospitals, the big centers where you observe better outcomes, and those hospitals. Dr. Karl Y. Bilimoria (Chicago, IL): We did something similar, and I’m trying to understand why maybe we got different results. We used NSQIP, so we had a smaller sample of hospitals than you had, but we had all ages. So I’m trying to figure out why we found that 20% to 30% of complications and deaths were missed for pancreas if you only look at the in-hospital stay as compared to 30-day outcomes. Any thoughts? Dr. James Edward Carroll: I’m not sure how to address why we don’t get a certain subset of complications, except to say that the difference is somehow inherent between SEER-Medicare and NSQIP. If you could somehow take NSQIP limitations and inform them from SEER-Medicare, and take SEER-Medicare limitations and inform them from NSQIP, you’d have a pretty good, fairly powerful database.